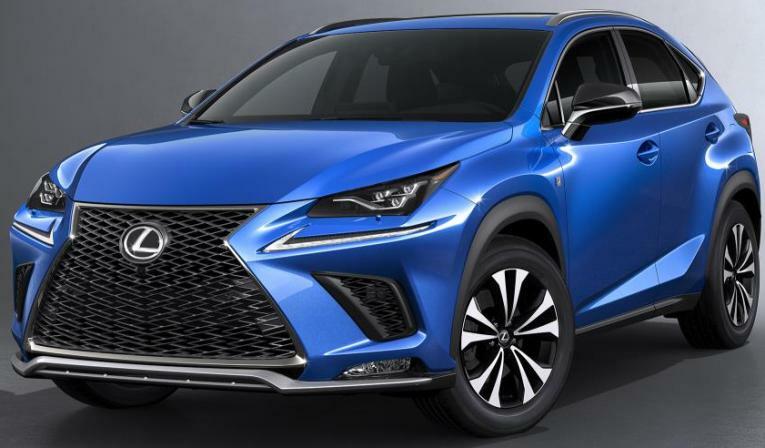 The 2018 Lexus NX 300, formerly called the NX 200t, has had its entire front fascia refreshed, and the NX is now available with headlamps with triple projectors and a larger 10.3 inch center dashboard display from seven inches. Nearly all the controls and switches inside the new NX, including the drive mode selector, shift knob and door handles, now have a metallic satin finish. The NX 300 will be powered by a turbocharged 2.0-liter inline-4, while the NX 300h’s hybrid drivetrain will continue with a 2.5-liter inline-4 combined with a pair of electric motors. The NX F SPORT will continue with jet-black plating and bright machine finished wheels with black solid paint. The newly updated Mercedes-Benz S-Class Sedan now includes the S450 and S450 4MATIC with a 362 horsepower 3.0L V6 biturbo engine. A new 463 horsepower 4.0L V8 biturbo engine is in the S560 and Mercedes-Maybach S560 4MATIC, a 603 horsepower AMG 4.0L V8 biturbo engine with cylinder deactivation with the AMG SPEEDSHIFT® MCT 9-speed transmission in the S63 Sedan, and a 621 horsepower AMG 6.0L V12 biturbo engine with the AMG SPEEDSHIFT® PLUS 7G-TRONIC transmission in the Mercedes-AMG S65. The Mercedes-Benz S-Class Sedan moves towards autonomous driving with Active Distance Assist DISTRONIC and Active Steering Assist to keep a safe distance and steer and the speed is now adjusted automatically ahead of curves or junctions. Enhanced camera and radar systems give an even better view of the surrounding traffic and map and navigation data calculate driving behavior. The Volkswagen I.D. CROZZ four-door coupe is VW's first electrically powered crossover utility vehicle kicking off a new fleet of electric vehicles that will start full production in 2020. The I.D. CROZZ has two electric motors developing 302 horsepower, a 201 horsepower motor at the back and a 101 horsepower coaxial drive system at the front, to directly drive their respective axles. Top speed is 112 mph and it can cover up to 311 miles on one battery charge. Using a 150 kW (DC) fast charger, the battery can be 80 percent recharged within 30 minutes. The 83 kWh lithium-ion battery is housed in the CUV's floor. The I.D. CROZZ can also be permanently driven with all-wheel drive. The I.D. CROZZ concept car already has an on-demand autopilot system that in the fully automated 'I.D. Pilot' mode retracts the multifunctional steering wheel into the dashboard and fuses with the digitalized instruments to form a single unit. In both automatic and manual mode the driver also receives speed and navigation information via an augmented reality head-up display. The I.D. CROZZ is 182.1 inches long, with a 109.2-inch wheelbase, and is 74.4 inches wide and 63.3 inches tall. The concept car offers similar interior space to the all-new 2018 long-wheelbase Tiguan, but is 3 inches shorter, 1.9 inches lower and 2.2 inches wider. 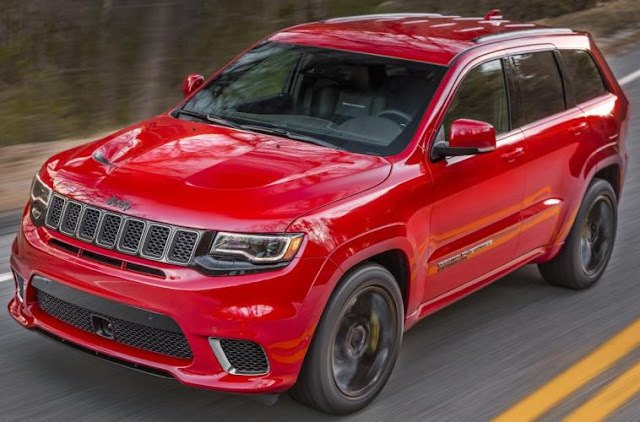 The new 2018 Jeep® Grand Cherokee Trackhawk with a 707-horsepower supercharged 6.2-liter V-8 engine combines with an upgraded high-torque capacity TorqueFlite eight-speed automatic transmission to accelerate from 0-60 mph in 3.5 seconds, for a quarter mile time of 11.6 seconds at 116 mph to top speed of 180 mph. The Selec-Track system on the Grand Cherokee Trackhawk uses performance-tuned software for Auto, Sport, Track, Snow and Tow modes. There is a choice of two audio systems, including an 825-watt Harman Kardon high-performance audio system with 19-speakers and two subwoofers. Jeep Grand Cherokee Trackhawk is capable of towing 7,200 pounds and will race into Jeep showrooms in the fourth quarter of this year. The all-new Honda Clarity Plug-in Hybrid, Clarity Electric will join the already available Clarity Fuel Cell later this year. The 2018 Honda Clarity Plug-in Hybrid, offered in standard and Touring trims, is anticipated to earn an all-electric driving range rating of 42 miles and for longer trips can utilize its 1.5-liter Atkinson cycle 4-cylinder engine to generate electricity and, under certain conditions, to act as a direct power source, resulting in an anticipated overall driving range rating in excess of 330 miles. The vehicle's electromotive power comes from a 181-horsepower electric motor and a 17-kilowatt hour battery pack with a recharge time of 2.5 hours at 240 volts. The Clarity Plug-in Hybrid is anticipated to earn an EPA fuel economy rating of 105 MPGe (miles per gallon of gasoline-equivalent) combined. The 2017 Honda Clarity Electric is powered by a 161-horsepower (120-kilowatt) electric motor and drawing power from a 25.5-kWh battery pack. The vehicle can by fully charged in just over three hours at 240 volts, and when using DC fast charging with the SAE Combined Charging System can achieve an 80 percent charge in just 30 minutes. The model is anticipated to have an anticipated EPA fuel economy rating of 120/102/111 MPGe. Honda says it will target U.S. sales of 75,000 Clarity vehicles in the first four model years. The 2018 Jaguar F-TYPE sports car, with 24 derivatives, offers a new 296 horsepower 2.0-liter turbocharged Ingenium engine and a number of supercharged V6 options including the 400 SPORT special edition model, a 400 horsepower version of the supercharged 3.0-liter V6 engine offered only for the 2018 model year, the 550 horsepower supercharged V8 F-TYPE R, and an all-wheel drive 575 horsepower V8 powered F-TYPE SVR. The 2018 Jaguar F-TYPE will be available later this year priced from $60,895 (includes $995 destination/handling charge). The Subaru Ascent SUV Concept is a 7-passenger, 3-row SUV that will be sold exclusively in the North American market starting in 2018. The 2018 Buick Enclave all-new seven-passenger midsize luxury SUV on a longer wheelbase providing 5.6 more inches of third row legroom is available in Enclave, Essence and Premium trim levels, and powered by a standard 302 horsepower 3.6L V-6 engine with stop/start technology paired with a nine-speed automatic transmission. The 2018 Buick Enclave goes on sale this Fall. Mercedes-AMG GLC63, a mid-size SUV, has a 469 horsepower AMG 4.0L V8 engine paired with an AMG SPEEDSHIFT MCT 9-speed transmission and AMG Performance 4MATIC+ all- wheel drive with fully variable torque distribution, with a 0 to 60 mph time of 3.9 seconds. 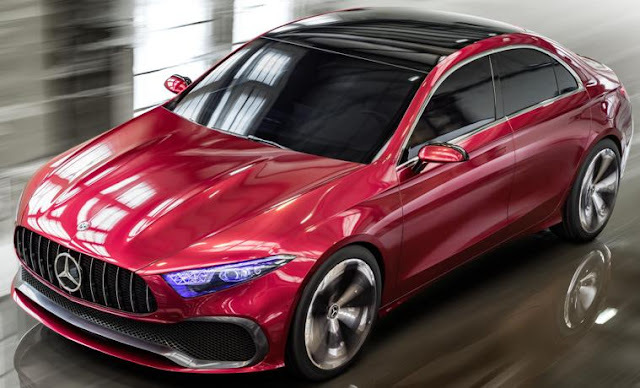 Joining the new Mercedes-AMG GLC63 SUV is the Mercedes-AMG GLC63 Coupe and GLC63 S Coupe which delivers 503 horsepower and a 0 to 60 mph time of 3.7 seconds. The 2018 Lexus LS 500 F SPORT, with an all-new 415 horsepower 3.5-liter V6 engine paired with a 10-speed automatic transmission, has a 0-60 time of 4.5 seconds. The LS 500h F SPORT has a new Multi Stage Hybrid System combining a naturally aspirated Atkinson-cycle 3.5-liter V6 gasoline engine with two electric motor/generators and uses a compact, lightweight lithium-ion battery for a combined system output of 354 horsepower. The 2018 Subaru Outback, with revised front and rear styling, has Symmetrical All-Wheel Drive and Active Torque Vectoring powered by a 175 horsepower double overhead cam 2.5-liter BOXER engine or a 256 horsepower 3.6-liter 6-cylinder BOXER engine in the Outback 3.6R Lineartronic both mated to a CVT (continuously variable transmission) now with a seven-speed manual mode and paddle shift control switches. The 2018 Outback 2.5i will be available in standard, Premium, Limited and Touring trims while the 3.6R will offer Limited and Touring trims. The 2018 Outback adds available new Steering Responsive Headlights with LED headlights that aim the lights into turns as the driver steers. The Limited and Touring models offer EyeSight Driver Assist Technology feature High Beam Assist, which automatically turns the high beams on and off depending on traffic conditions. Also new for 2018, the tire pressure monitoring system that detects pressure changes at individual tires. The Blind Spot Detection/Rear Cross Traffic Alert indicator lamp is larger and has been moved from the mirror’s surface to its side. Automatic locking doors are also new, and improved LATCH anchors make child seat installation easier. The 2018 Outback arrives this summer. General Motors (Chevrolet, Buick, GMC, Cadillac) total March sales were 256,224, up 1.6 percent. Year-to-date sales are 689,521, a gain of 1.9 percent. Ford Motor Company U.S. March 2017 sales totaled 236,250 vehicles, a 7.2 percent decline versus a year ago. Year-to-date sales are 617,302, down 4.4 percent. Toyota Motor North America reported its U.S. March 2017 sales of 215,224 units, a decrease of 2.1 percent from March 2016. Toyota division posted March 2017 sales of 187,289 units, down 1.2 percent while Lexus posted sales of 27,935, down 7.5 percent. FCA US (Chrysler, Dodge, Ram, Jeep, Fiat, Alfa Romeo) reported U.S. sales of 190,254, a 5 percent decrease compared with sales in March 2016. Year-to-date sales are 510,798, down 8 percent. Nissan Group announced U.S. sales in March 2017 set an all-time record at 168,832 units, an increase of 3 percent over the prior year. American Honda Motor reported total March sales of 137,227 Honda and Acura vehicles, a decrease of 0.7 percent over March 2016. Honda Division was up 1.8 percent on sales of 125,531 units while Acura Division sales were down 21.2 percent in March, on sales of 11,696 vehicles. Hyundai Motor America reported sales of 69,265 for the month of March, down eight percent versus a record-setting March 2016. Year-to-date sales are 168,792. Kia Motors America announced March sales of 49,429 units. Year-to-date sales are 127,728. Subaru of America reported 54,871 vehicle sales for March 2017, an 11.3 percent increase over March 2016, and the best March in the history of the company. The automaker also reported year-to-date sales of 144,250 vehicles, a 9 percent gain over the same period in 2016. Volkswagen of America reported sales of 27,635 in March 2017, a 2.7 percent increase over March 2016. Year-to-date sales through March are 76,290, an increase of 10.1 percent. Separately, Audi of America reported March sales of 18,705, an increase of 2 percent. Sales of BMW brand vehicles increased 3.3 percent in March for a total of 31,015 compared to March, 2016. Year-to-date, the BMW brand is up 1.5 percent in the U.S. on sales of 71,682 vehicles compared to the first three months of 2016. Mercedes-Benz reported March sales of 29,092, up 3.3 percent from the same month last year. Adding 2,871 units for Vans and 389 units for smart, Mercedes-Benz USA achieved a grand total of 32,352 vehicles for the month, up 2 percent from a year ago. Year-to-date, MBUSA also achieved a record close of 87,635 units, up 3.9 percent. Mazda North American Operations reported March U.S. sales of 24,549 vehicles, representing an increase of 4.9 percent versus March of last year. Year-to-date sales through March are 69,071, up 6.8 percent versus last year. Mitsubishi Motors North America reported March 2017 sales of 11,766 an increase of 6.2 percent over March 2016. Volvo Car USA reported U.S. sales of 5,356 vehicles for the month of March, a 21.9 percent decrease. Year to date sales are down 17.6 percent. Porsche Cars North America announced March 2017 sales of 4,479 vehicles, a 3.6 percent sales increase over March 2016 and a first quarter gain of 3.9 percent over the same period last year. Year-to-date 2017 sales stand at 12,718 vehicles.